A blast of Arctic air known as a Polar Vortex has descended on the Midwest, bringing the coldest temperatures in a generation, if not on record. Life-threatening cold weather will affect a swath of the United States, stretching from North and South Dakota to Maine. Snow is expected as far south as Georgia. The National Weather Service warned that the wind chill could make it feel like minus 63 degrees Fahrenheit in parts of the Midwest, bringing a severe threat of frostbite within minutes. A Polar Vortex is a stream of cold air that normally spins around the North Pole, but which gets disrupted, blasting Arctic air across parts of North America. National Weather Service meteorologist Mark Chenard told Reuters the term refers to the upper level jet stream that typically circulates around both the North and South Poles, keeping the coldest air there. When that jet stream occasionally weakens and buckles, he said, it disrupts weather patterns—bumping warmer air into Alaska and pushing cold winds down into the U.S. Midwest and East Coast. The term 'Polar Vortex' has been used regularly in the past few winters, but scientists are not agreed on whether they have become more frequent. There is also much debate on how they may be affected by climate change. President Donald Trump took to Twitter to wonder: "What the hell is going on with Global Waming?" As much as two feet of snow is predicted in Wisconsin. 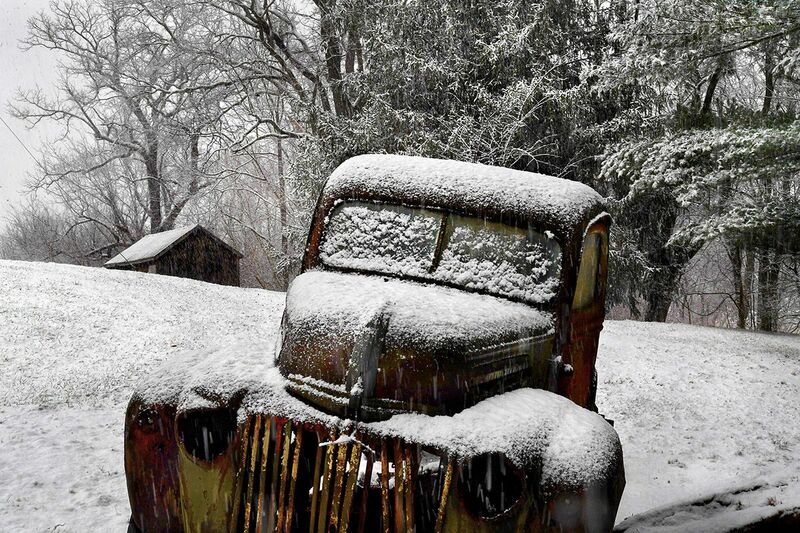 The state's Governor, Tony Evers, has declared a State of Emergency throughout Wisconsin due to severe winter weather. Chicago is expected to be colder than parts of Antarctica. The city's school system plans to cancel classes for all 360,000 students on Wednesday. Detroit also announced its schools would be closed. The U.S. Postal Service has suspended its delivery service across several states including Illinois, Michigan and Indiana. 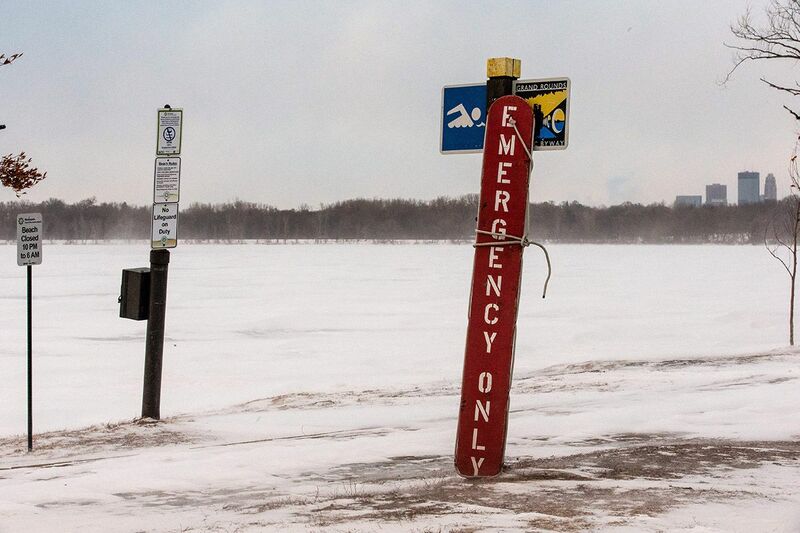 Temperatures in almost a dozen states are expected to plunge to record or near-record levels. Rich Otto, a meteorologist with the National Weather Service, told NPR, "These are probably some of the coldest temperatures that the area has seen, parts of the upper Midwest, since the mid-90s." In this slideshow, we look at how the Polar Vortex and snow are affecting life across a swath of the United States. 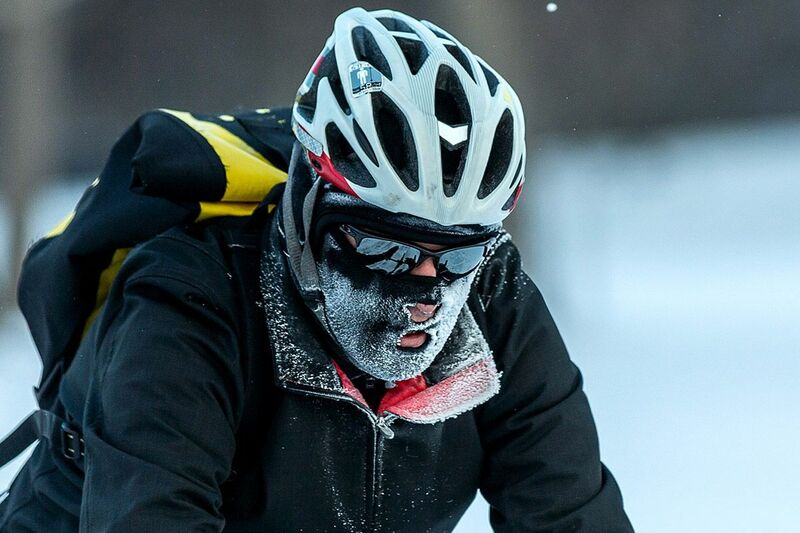 A cyclist wearing an ice-speckled mask rides along Nokomis Parkway, south west Minneapolis. 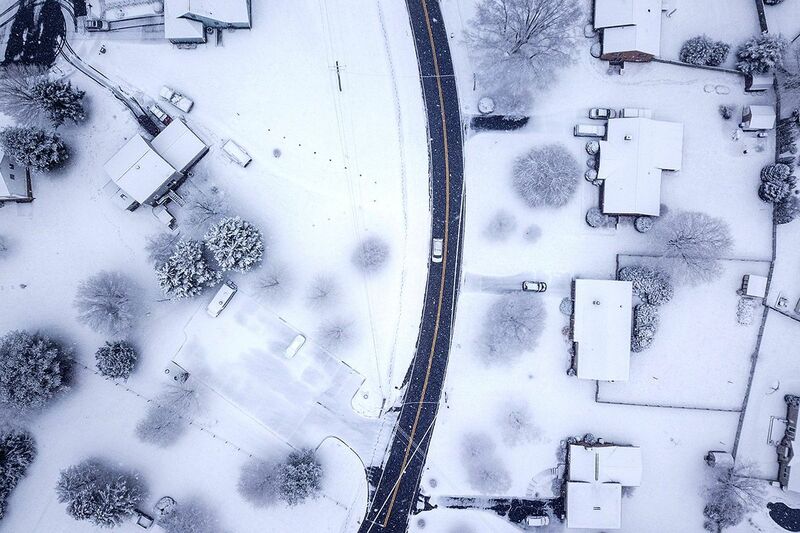 An aerial photo of a snow-covered residential area in Myersville, Maryland. 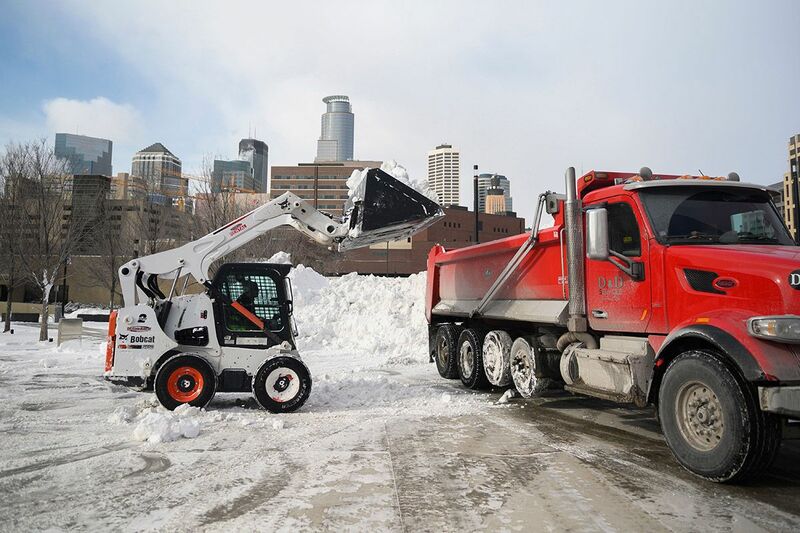 A crew clears snow outside U.S. Bank Stadium in Minneapolis, Minnesota. Snow coveres the frozen Lake Harriet in Minneapolis, Minnesota. 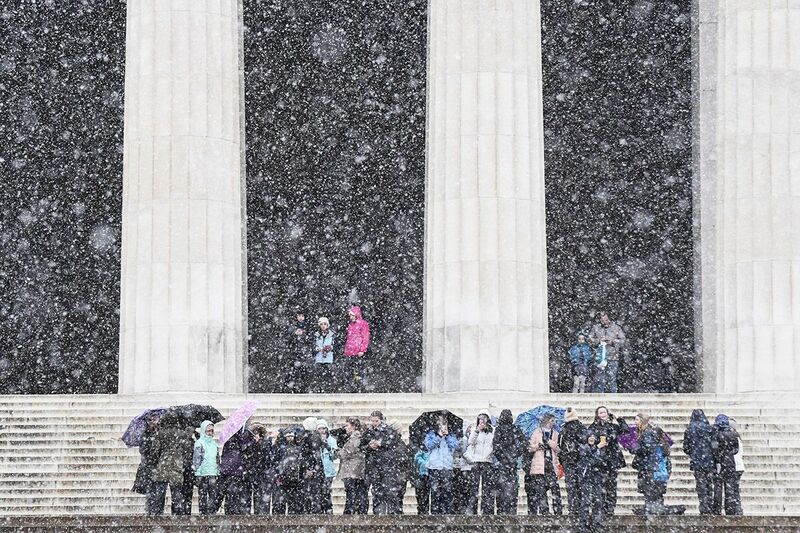 A tour group from Trinity Presbyterian School in Montgomery, Alabama tours the Lincoln Memorial as snow falls in Washington, DC. 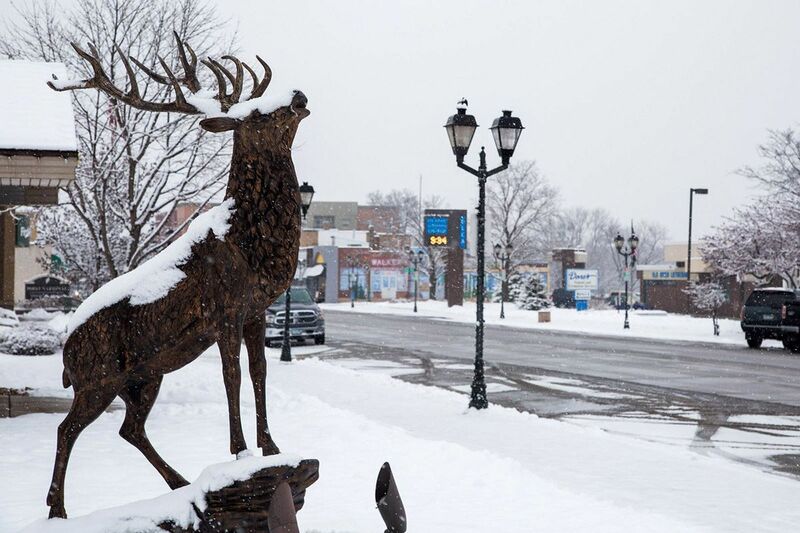 A photo tweeted by the Fire Service in Elk River, Minnesota, shows a snow-covered elk statue in the city. 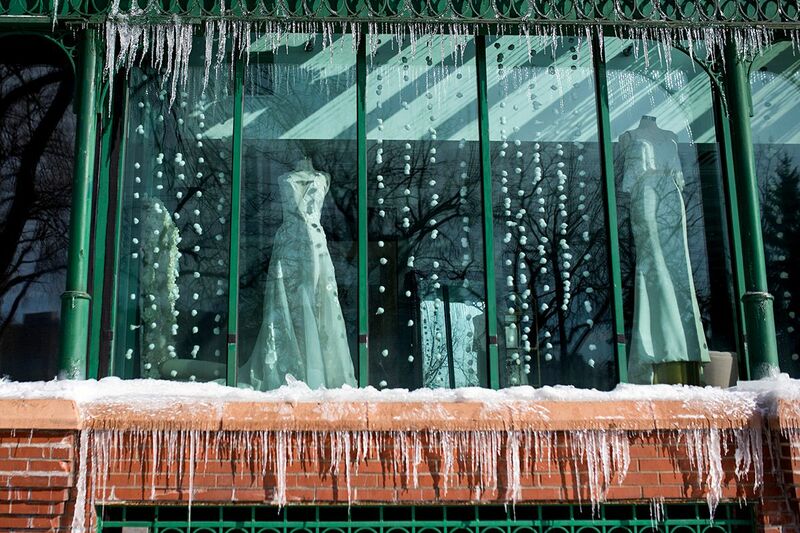 Icicles form outside a bridal shop in Minneapolis, Minnesota. 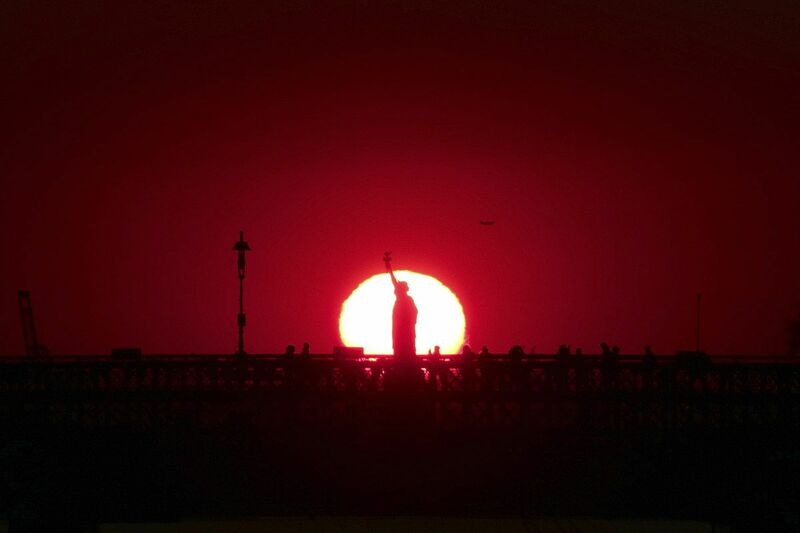 People walk across New York's Brooklyn Bridge on a cold evening as the sun sets behind the Statue of Liberty. 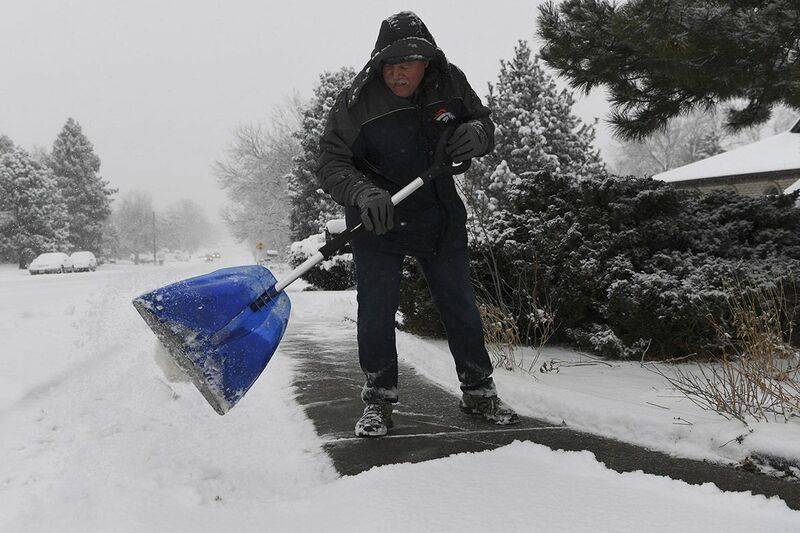 Gary Schmidt shovels snow from a walkway outside his home in Lakewood, Colorado. 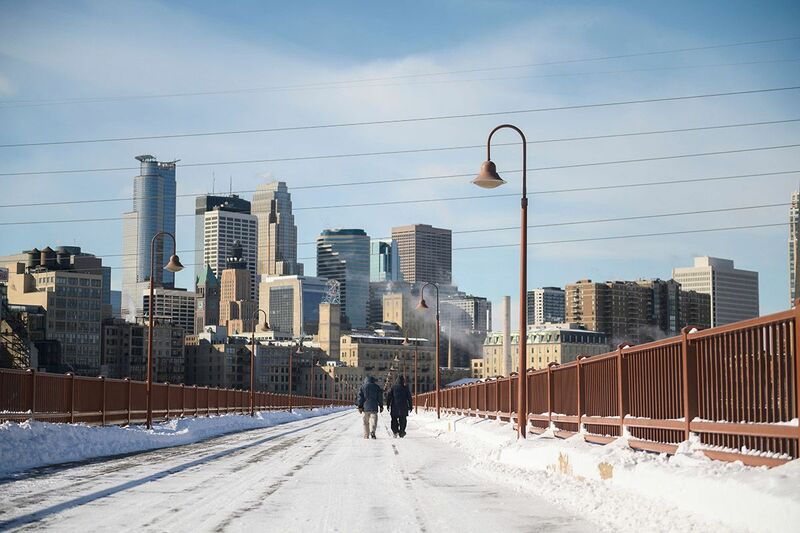 Pedestrians brave the cold as they walk across the Stone Arch Bridge in Minneapolis, Minnesota. 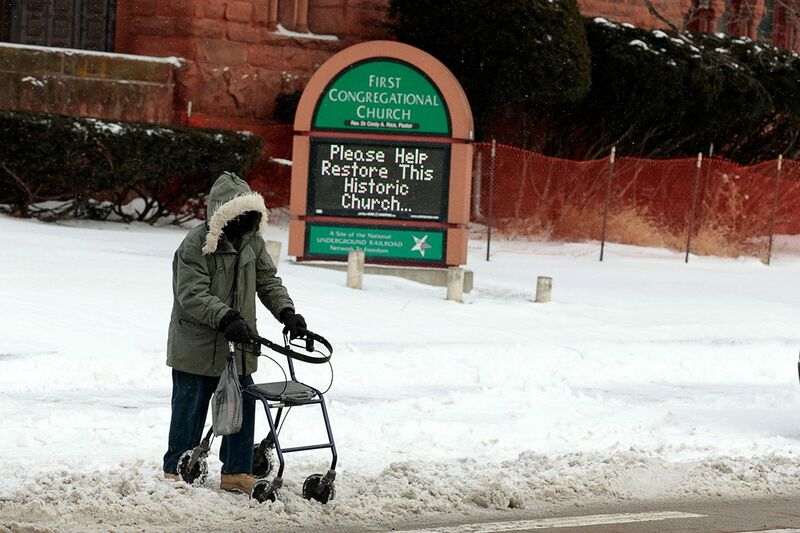 A person with a walker negotiates the icy sidewalk along Canfield Avenue in Detroit, Michigan.